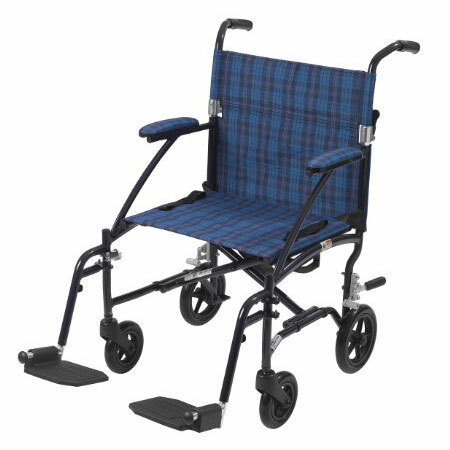 19″ Blue Plaid Transport Chair Fly-Wt. 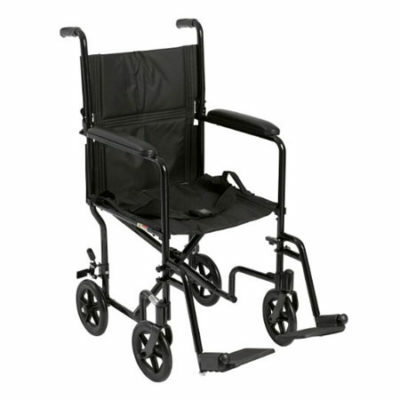 8″ casters in rear. 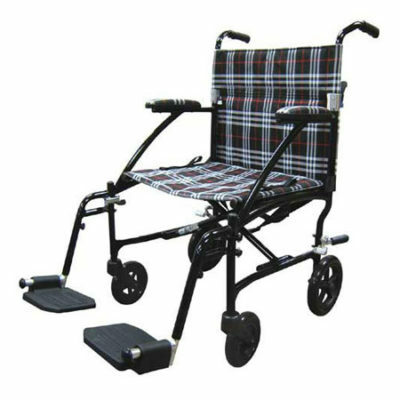 6″ casters in front. 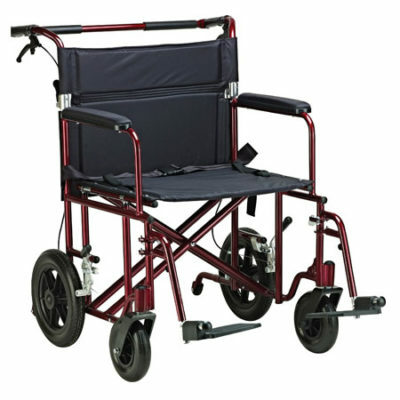 Comes with aluminum rear wheel locks. Overall width: 22″ (open), 9″ (closed). Seat to floor height: 18″.